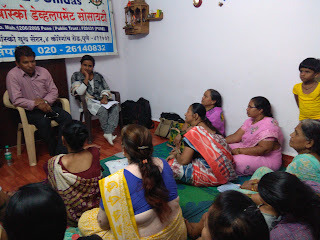 Koregaon Park (Pune), 9-April-2019: The Don Bosco Development Society (DBDS) Pune, organized a legal awareness training programme for the women residing in Nagpur Chawl in Pune. 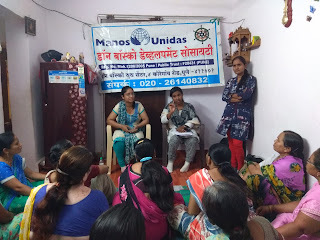 23 women participated in this event which was held under the aegis of ‘Women Empowerment Project’ supported by Manos Unidas, Spain. Mr. Nagsen Chavan (Coordinator-DBDS) welcomed advocate Yasmeem Shaikh who was the resource person; in her session she covered issues leading to divorce, domestic violence, dowry and sexual harassment etc. 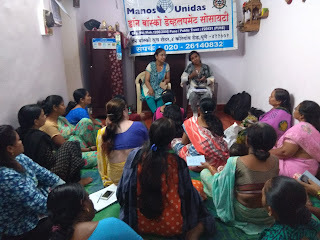 She shared knowledge of legal provisions and processes and encouraged ladies to use this knowledge to realize rights and entitlements and demand justice, accountability and effective remedies. 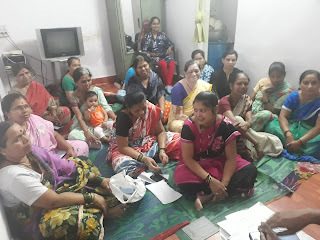 She explained in details about women’s Property rights, Marriage and personal laws, divorce and their provision under law, maintenance, domestic violence, inheritance law, Hindu Marriage Act, etc. Program ended with the vote of thanks by Ms. Jyoti Sonwane (Staff-DBDS).